A growing community of theorists who believe the world is actually flat is organizing conventions, cruises, a planned television series, and future expeditions to uncover what they believe are the hidden truths and mysteries of the world. Even controversial YouTube star Logan Paul recently expressed his desire to journey to the edge of the Earth and will release a documentary called "The Flat Earth: to the Edge and Back" premiering March 20. While I am certainly not a Flat Earth believer, I am always intrigued by the mystery of our planet and can't ignore the dedication and growing Flat Earth organizations and followers around the world. I had a chance to speak with dozens of Flat Earth supporters to talk about exploring Antarctica and to get their response to the recent highly publicized journey across Antarctica by Colin O'Brady. Recently Youtube star Logan Paul attended the Flat Earth International Conference in Denver and spoke onstage to the attendees about his interest in the subject. He was there filming a documentary (possible mockumentary) for YouTube and talked at length about Flat Earth with founder Robbie Davidson. "I consider myself a man of truth, someone who hates being ignorant," Paul said. "I’m not ashamed to say my name is Logan Paul and I think I’m coming out of the Flat Earth closet. If I'm going to put my name out there (as a Flat Earth supporter), I want to know the facts. The fact that we haven't been to the moon in over 50 years, the fact that the moon emits its own light. Some of the best scientists can't explain gravity; Neil Degrasse Tyson, Bill Nye, in the end, do they even know? I want to explore for myself and keep an open mind. There is a stigma of being a flat earther and if I'm going to do it I want to know the facts." Sitting down with Davidson, Logan Paul was also passionate about his interest in trekking across Antarctica to confirm the flat earth theory hoping he would be the first to reach the wall. "I am that guy that will make it to the edge," he says. Davidson, (who is not affiliated with the Flat Earth Society) is also organizing an enormous cruise in 2020 for Flat Earthers to convene and discuss theories while continuing his popular yearly conventions around the country. His take on Antarctica is fueled by what he calls real exact science. "When we look at Antarctica if you take a globe and you squish it down, the Antarctic would go all the way around the Earth. It's kind of like an ice shore and it’s very very large. It's not like you just go there, and you can just peek over it. 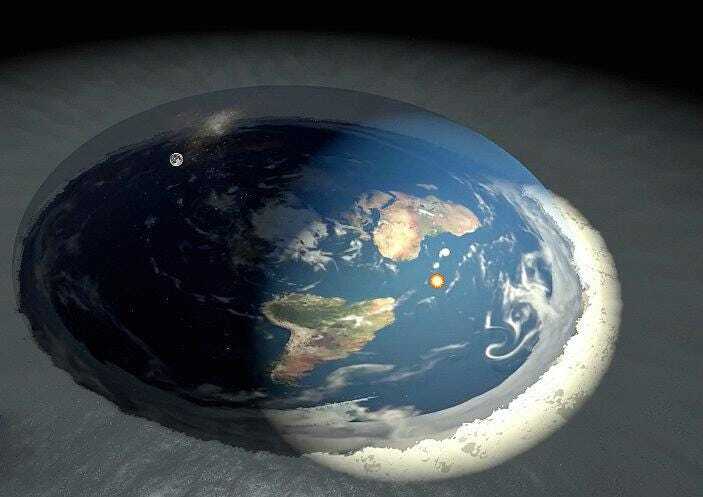 We don't believe anything can fall off the edge, because a big portion of the flat earth community believe that we're in a dome, like a snow globe. So the sun, moon, and stars are all inside. It's very high but all contained inside. So there's no way to actually fall off of the earth." "All we have to do to shut this debate down once and for all is get the distance of the coast of Antarctica. It has been done by early sailors (before the UN was established and set up its Antarctic treaty essentially making it illegal for independent and private exploration of Antarctica) who managed to make 60k+ miles which irrefutably proves the flat earth model, but like all other mountains of evidence for flat earth this is not enough for ballers today. If we can get to the coast of Antarctica and sail all the way around it, we will get the distance that will prove it’s the outer edges of flat earth and refute entirely every single argument anyone can possibly try to pitch for the sun-worshipping cult of heliocentrism." He continues, "They’ve made laws to not allow any kind of motorized equipment on the ice which would help us prove not only flat earth but what’s beyond the ice wall, but in reality, we don’t even need to get onto the ice to prove flat earth. The coast of Antarctica on the ball earth is no more than 14.5k miles. On a flat earth, it would be over 60k...we have evidence of 60k+ and none of 14.5." There have been 16 journeys across portions of Antarctica throughout the years, with expeditions such as Borge Ousland’s 1997 kite expedition, and in 2006 Rune Gjeldnes skied 2,988 miles in the South Pole region with kites. In 2012, Felicity Aston became the first woman to ski alone through parts of Antarctica. And in 2018, Colin O'Brady completed his solo, unsupported and unaided crossing of Antarctica in a 54-day journey which created a firestorm on both sides of the Flat Earth debate. Critics said it delivers proof of no flat earth while others are not convinced. "In 1773 Captain Cook became the first modern explorer known to have breached the Antarctic circle and reached the ice barrier. He intended to sail completely around Antarctica looking for inlets through the ice-wall. Sailing a total of 60,000 miles along the Antarctic coastline he never once found an inlet or path through or beyond the massive glacial wall. Cook wrote: 'The ice extended east and west far beyond the reach of our sight, while the southern half of the horizon was illuminated by rays of light which were reflected from the ice to a considerable height.'" "The only information the public received was the claims of O'Brady, his several selfies, and endless hearsay. The one and only piece of information that even remotely mattered, however, was missing. The factual and irrefutable evidence of this alleged crossing. No telemetry data, no GPS coordinates, no evidence of any kind that O'Brady took the route he did, accomplished the miles he had or did the crossing at all for that matter. Some may claim that because there are no cell towers along his route, it was impossible to obtain this kind of factual evidence and prove beyond a shadow of a doubt that he did, in fact, complete the trip as he had claimed." "If O'Brady had cell service and some kind of connection it would mean his coordinates would also be known and recorded. These coordinates have not been provided to the public. Is it because these coordinates do not exist? Or perhaps O'Brady didn't actually take that route or accomplish his alleged mission in the claimed 54 days?" "The GPS coordinates were published publicly throughout the entire expedition in real time. Anyone could click the link on the website any time of day to see exact latitude and longitude coordinates." While the heated opposition from scientists, NASA, and other experts would fill volumes about the subject, I am a huge believer of allowing everyone to express their personal beliefs and opinions in a safe, non-discriminatory discussion. 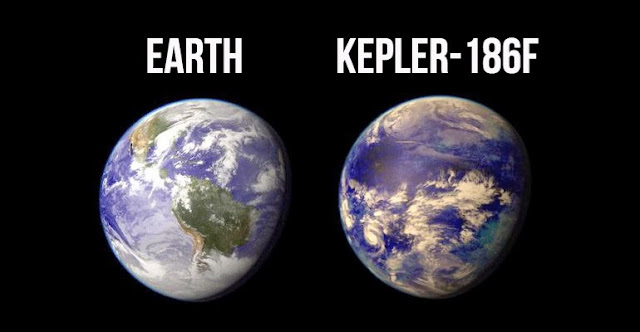 I am also particularly excited about any further exploration of the undiscovered parts of our planets from all sides.